Amazing how fast the time can fly. It feels like we just started 2010 and here it is gone and a new year to begin. Last year I added a bit of History with Christmas Eve here. 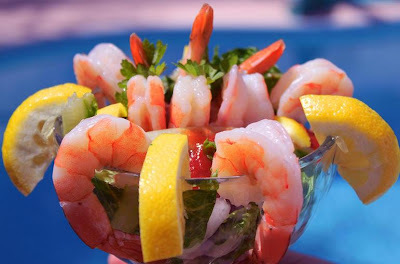 So many Fishes are made on the Eve, suggestions can be mussels, crab, lobster, scallops, rock shrimp, stone crab, shrimp, calamari, eel, snails, tuna, salmon, walleye, haddock, smelts, sardines and scungilli the list goes on an on. I put together what my family loves. I have made some wonderful fabulous foodie friends this year and am thankful for every one that visits, comments and enjoys reading my blog this is so addicting and the common bond is we all love to eat and cook! The other wonder of cooking online together is the admiration we all have for each other, you can feel the excitement when you have really had a great post in your comments, words and it's just a fabulous gift! Your all a wonderful supportive group of amazing bloggers. Some of the most rewarding friendships come from the universal bond of cooking together! I want to take this opportunity to thank each and every one of my readers in appreciation for all the time you have made to come here in 2010, read, comment. Your support has brought me a great sense of joy to move into the new year with such a wonderful audience of family and foodie friends. I can't thank you all enough for all your lovely awards and thoughtfulness. I hope I have returned that thankfulness in this heartfelt note. May you all have a healthy, happy and delicious New Year! Hoping for best for all of you in 2011. Here's to all of you to have the best blogging year to come ever, I look forward to all your new creations in 2011 with all my continued foodie love coming your way! Shake rinsed off fish wet fish into the bag of seasoned flour, fry in hot oil, drain on paper towels. What a feast! Merry Christmas Claudia, may your time with family be the best ever! I'm coming over! Happy holidays! Buon Natale (Merry Christmas)!! I wrote the same thing on my recent Christmas post how fast time flies lol. I can't believe it's Christmas already. WOW!!!!! What a great meal for Christmas Eve and you do it with great style! Love your cats dressed up and wish ours would settle for that. Here's wishing you and yours a great Merry Christmas and the best in the New Year, Claudia! A true feast! Merry Christmas to you and yours and give a nuzzle to your Chirstmas cats! A lot of nice looking food. It is only two of us so we just do finger foods, simple but probably highly unhealthy food for our holidays once the big annual party is over. Ahh! The seven "fish"...what a feast! Everything is so beautiful, and festive. My two kitties wish yours too, a Merry Christmas! We are invited tonight to a Sicilian, and a real all American Southern feast, at our dear friends' house. Claudia-I am so happy that I met you thru foodbuzz, can't thank you enough for your friendship and support, these last few months! Wishing you and your loved ones, a Very Merry Christmas-Buon Natale! Yeah, you're so right! Time just flies. Another year to come! Wishing you & your family a very Merry Christmas. Hope you're having a marvellous time and enjoy the night. Merry Christmas to you, too, Claudia! What a lovely feast!!!! Buon Natale Claudia!! I love your cats!! That meal looks like quite the undertaking but well worth it! You cats look too cute all dressed up for christmas! Have a merry christmas! Claudia, I'm with Belinda - have an extra chair at that table! ;) I wish you a very Merry Christmas and Happy Holidays! You and your family have a Very Merry Christmas! Happiest holidays from my kitchen to yours, Claudia! Each of your seven fishes is a masterpiece, as usual! Merry Christmas Claudia with Joy and Happiness!! Am I invited to this wonderful menu? What an incredible feast for Christmas dinner!! Un menu' ricco e goloso. Buon Natale e felice 2011 a te e a tutta la tua famiglia. Un abbraccio Daniela. Claudia, everything looks fantastic as always.Buon Natale!!!! 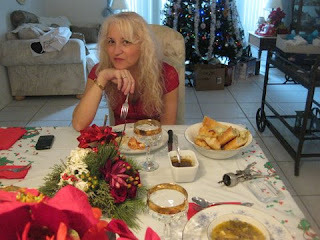 Your incredibly put together holiday feast...good company and such cute kitties...how well surrounded you are Claudia. haha, very cute cats. enjoy your feast! Merry Christmas! Wow, what a feast! Merry Christmas to you and your family! Your kitties are so adorable! hey claudia marry christmas and happy new year to u and your family really nice menu! 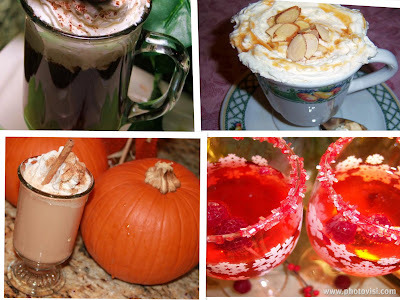 I will be working on nailing down these recipe hopefully this Christmas!